There’s no denying the value of content marketing in the digital world. It’s affordable (costing 62% less than outbound marketing), but generates more than three times as many leads. Just about every business and blog is trying their hand at content marketing, but how do you become one of the most effective? Here are 7 daily habits you should remember to make it happen. To help you get started, we have created a 30-day long email program that will keep you on track. Every day for the next 30 days we will send you a writing prompt. As this is a social media and content marketing site, we’ll send you prompts about these topics. But occasionally we add some free writing and other stuff, too. If you work as part of a content marketing team, taking the time to meet daily will pay off for your results in the long run. 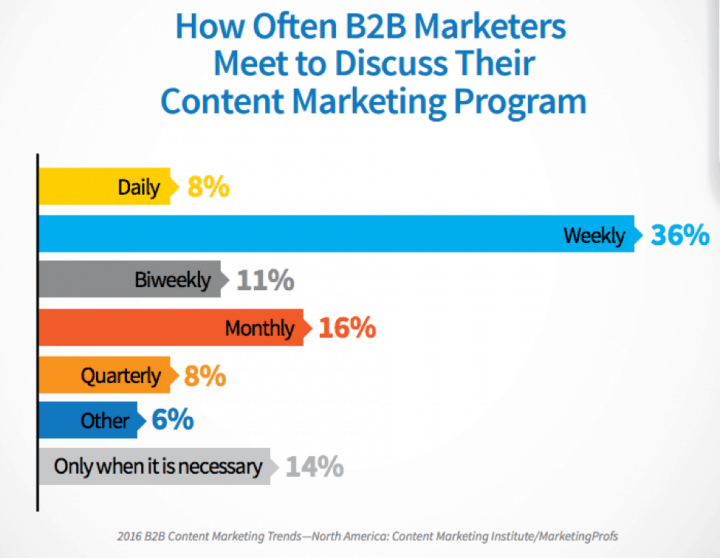 According to Content Marketing Institute’s (CMI) latest B2B Content Marketing Report, the more effective an organization is at content marketing, the more often they meet (61% of the most effective meet daily or weekly). Meeting regularly gives you more opportunity to discuss the performance of your content marketing program, and make minor adjustments to improve it long-term. These meetings can be in person or virtual. Thanks to tools like Google Hangouts or Slack, it’s easy to keep in touch with your virtual coworkers throughout the day. What if you’re a content marketing team of one? The advice still stands. CMI also found that best-in-class content marketers have a documented editorial mission statement, a documented content marketing strategy, and a good idea of what effective content marketing looks like. With this knowledge in hand, take a few minutes daily to evaluate your efforts and see how well they match your documented strategy and expectations. Content marketing isn’t all about grinding away at the same tactics. If you’re lucky, you’ll come across some opportunities to achieve exponential growth. But instead of waiting for them to fall in your lap, take a little time every day to actively seek them out. Google favors fresh content in search results. If you run a niche blog, chances are you can’t always take advantage of this by writing about the latest news. But sometimes, you can. Say, for example, I run a niche site about commercial and personal drones, and last night Michelle Obama accidentally crashed one in the White House. That’s a story I have to mention. You can even set up a Google Trends subscription for relevant keywords. If something relevant comes up today, then jump on the opportunity and create content about the trending topic. Timely content can help drive more traffic to your site from social media and search. Monitoring mentions of your brand around the web is an opportunity for a lot of reasons. Say a major newspaper mentions your company but forgets to link back to your site. You can reach out to them through email and build an easy link. If someone spoke fondly of your brand on their blog, it can also become an opportunity to network, collaborate, and co-promote. At the same time, if someone writes a scathing review of your company, you have an opportunity to reach out and control the damage. If content marketing is your main inbound gig, then some kind of content creation has to be on your daily to-do list. 76% of B2B content marketers expect to create more content in the coming year. That means more competition in search, on social media, and everywhere else your content appears. But being a successful content marketer doesn’t mean writing a new blog post every day, especially if short, fluff pieces are all you have time for. 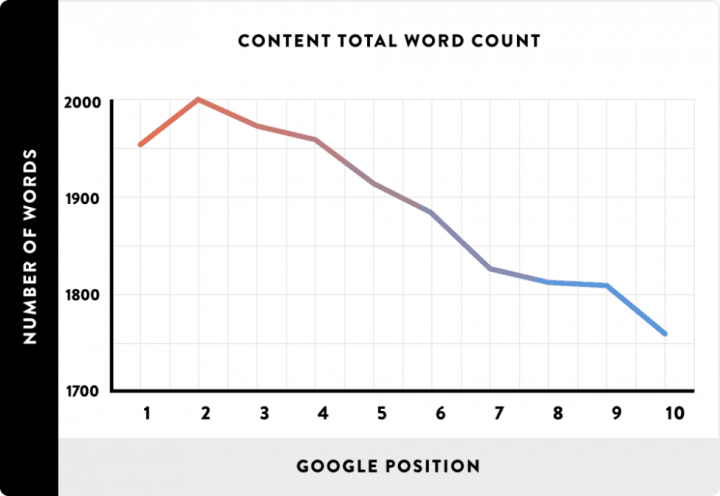 Research has shown that Google SERPs favor long-form content. Or you can go back and update old content. For example, say I have a post covering “Best SEO Practices for 2016” I can do a little research and update it for 2018, then republish. 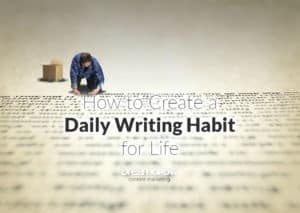 Make sure you develop a daily writing habit. 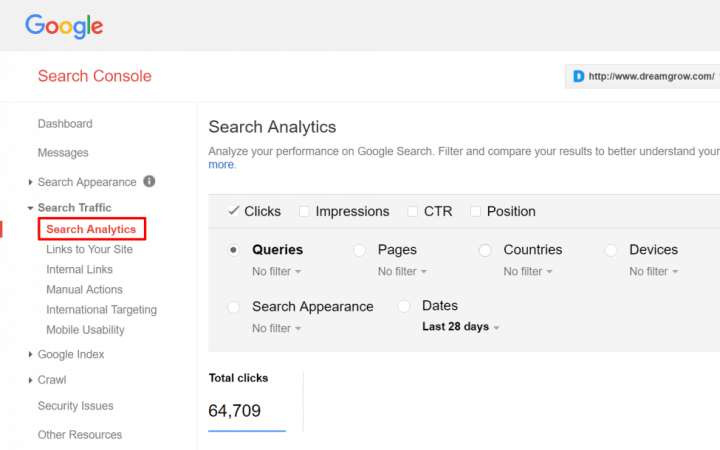 The report also shows you the click through rate (CTR) for your pages with these queries. If one of them has a very low CTR, maybe you can update your title and meta description to make them more appealing. 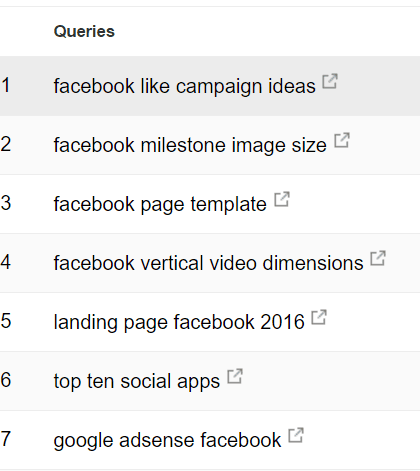 You can select to view your pages’ average position for the query to help you target the first page of search results. If one of your pages is just barely on the second page, go back and refresh the content to help improve rank. You need to audit content on your website and determine what works and what doesn’t according to precise metrics. I will give you a guide to conduct your website’s content audit. 78% of brands have created more content in the last two years while average content engagement decreased by 60%. It doesn’t matter how much you produce; the truth is you need help to get your content noticed. You should have an active list of current and potential influencers that you regularly add to. If a big name in your industry engages on social media or comments on your blog, for example, then add them to your list. You can also actively research them yourself by using Buzzsumo. The tool reveals people who regularly share content similar to yours. Before you ask an influencer for any favors, you need to show that you’re willing to do the same. Nurture your influencers by sharing their content, creating social conversations about their content, engaging on their blog, etc. Do this regularly, not just when you need their help with something. If you’ve just published new content, then ask them to share. You can also reach out and propose a collaboration or guest post contribution. The most effective content marketers use an average of 15 tactics. Make the most of them by taking time every day to promote your content. 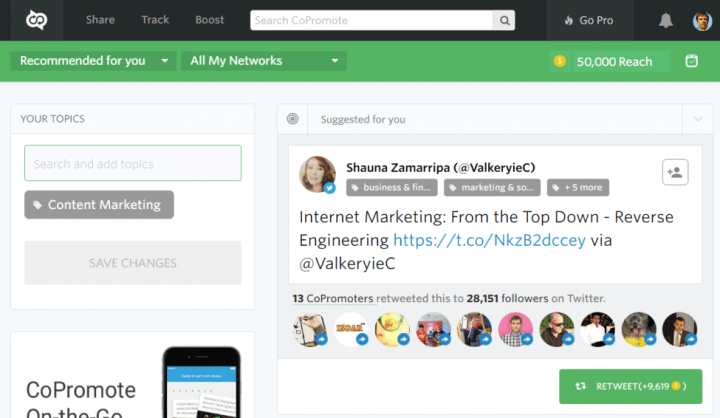 Use a popular tool like Viral Content Buzz or CoPromote to access a network of built-in influencers. These sites allow you to share others’ content in exchange for credits or reach. Then, you spend these credits promoting your content. Content communities have established audiences for all kinds of niches. Blog Engage, BizSugar and Triberr are a few popular ones you can target with your content. Is your content a helpful resource that might answer someone’s question? Then go through popular forum discussions and Q&A sites. Post about your content if it would be of value. Don’t just use these strategies when you first publish your content. Get the most juice out of every content piece by using long-term promotion tactics and updating old content regularly. 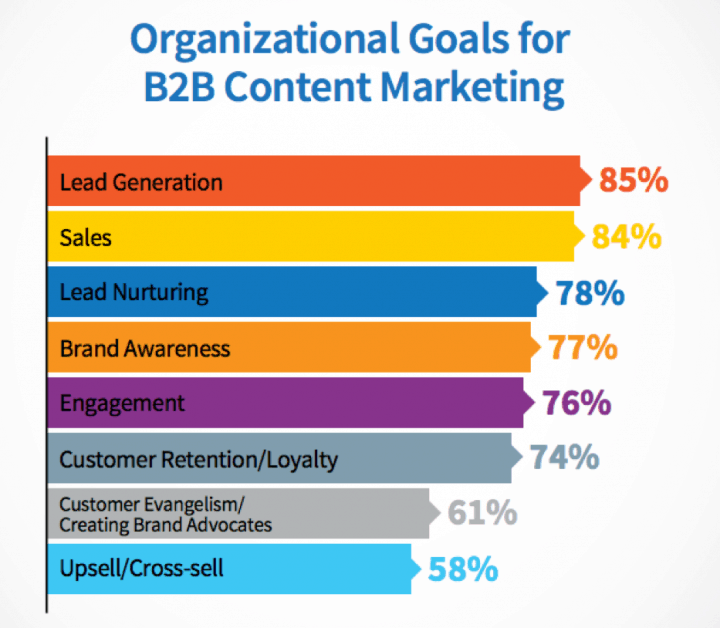 Lead generation and lead nurturing are two of B2B content marketers’ biggest goals. Creating valuable content is a start, but creating personal relationships is the most effective way to nurture leads. On social media – Respond to any questions or comments on your social posts, but don’t stop there. Actively seek out your audience and start conversations about other content/topics that interest them. On forums – Take time to start forum discussions related to your niche (not just your business). Comment on other topics and of course respond to your audience. On your blog – Respond to any comments on your posts. If someone approached you with a thoughtful question or comment, consider addressing them publically by turning it into a blog post or podcast. Measuring content effectiveness is one of the top challenges for B2B content marketers this year. And the most effective content marketers know how to tell what content works and what doesn’t. So if you really want to be successful long-term, spend some time every day monitoring your performance. Don’t worry about long-term performance metrics like a number of site visitors. You can evaluate these weekly or even monthly. Instead, drill down into the details of content performance using the tools in front of you. If you have a specific goal for your content campaign, set it up in Google Analytics. If you want people to sign up for your email list, then add the confirmation page as a goal. Just go to Conversions > Goals to set it up. Then you can see detailed reports of your site visitors’ journey towards this goal, including areas where they tend to drop off and leave the site. That might be a content piece you can improve. Under the Admin menu, you can create rules to identify certain types of content you have on your site. You can group them by content type (e.g., list posts vs. how-to) or content category (e.g., personal drones vs. commercial). Use these dimensions to see which kinds of content bring the most traffic and conversions to your site. If deep analytics isn’t your thing, I recommend using Google Analytics’ Assistant from their mobile app. 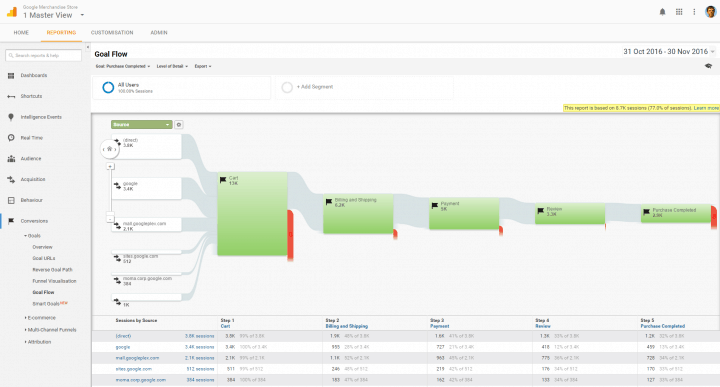 It offers automated insights into your site performance — essentially doing the heavy data work for you. Google Analytics offers a lot of insight, but don’t stop there. Learn something from the performance of your competitors’ content as well. Again, a tool like Buzzsumo can help. 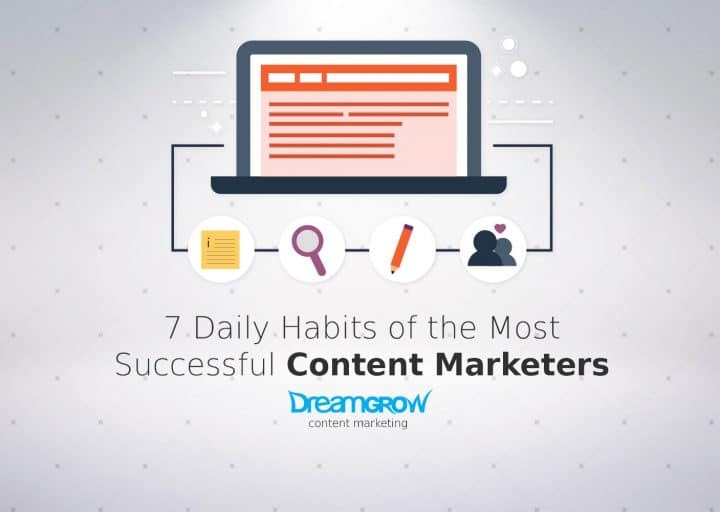 Keep up with these 7 daily habits the most successful content marketers use and watch your audience grow. What’s on your content marketing to-do list? Author: Myles is Founder & CEO of eREACH, a content marketing firm that provides SEO consulting and link building services. 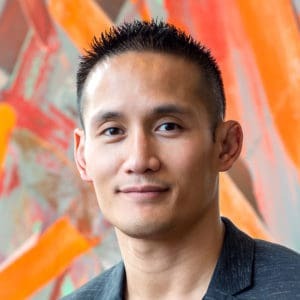 He’s on a mission to demystify and simplify Internet marketing for entrepreneurs. When he’s not working, you can find him traveling and exploring new surf spots.